Major roads in Peterborough will be closed overnight from this evening. 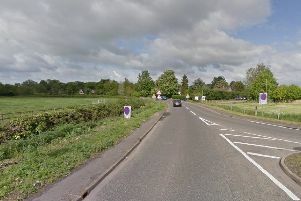 The A47 will be closed eastbound between the A1 at Wansford and Nene Parkway and westbound between the Nene Parkway and the Sutton roundabout for resurfacing and road maintenence. Diversions will be in place along Fletton Parkway, through Serpentine and to Norman Cross. There will also be full overnight closures of the A1 (M) southbound carriageway between junctions 17 (Norman Cross) and 16 (Peterborough Services / Fletton Parkway) for resurfacing works. Full diversions will be in place along the Nene Parkway, Fletton Parkway and the A1.